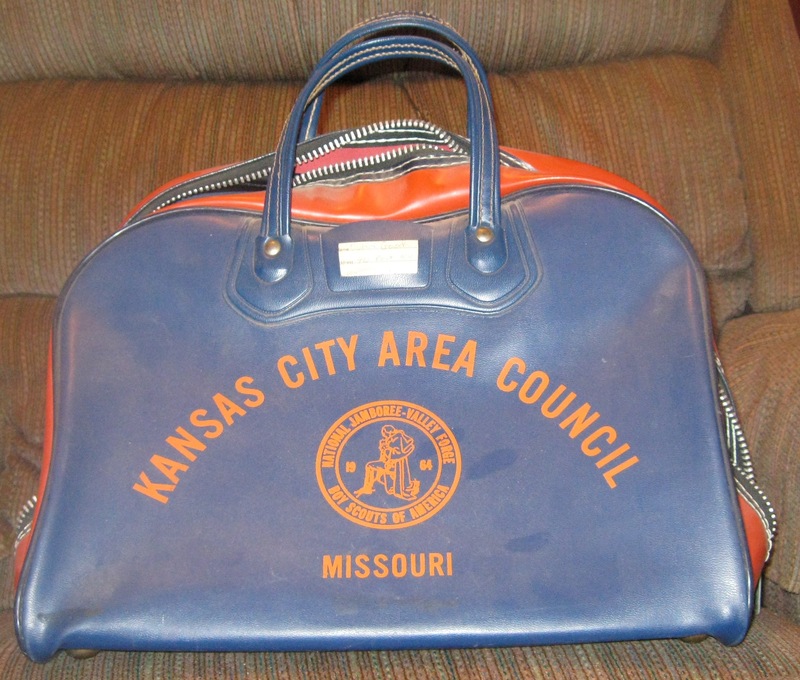 I received another Kansas City area jamboree item image last night: the 1964 Kansas City Area Council travel bag. I’ve received messages from a few others that are digging through their collections. I’ll post more as they arrive. 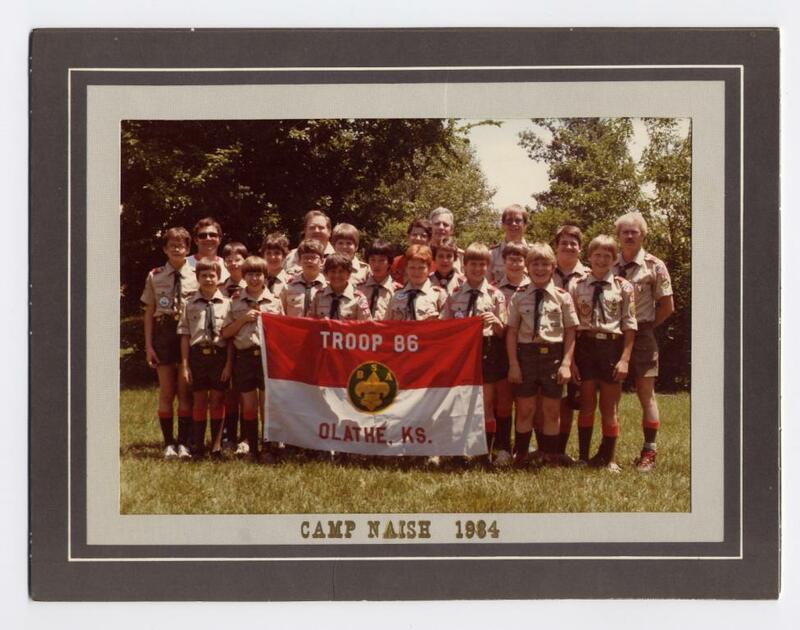 Troop 87 Group Photo - portions of "Olathe" and "Kaw Council" text visible at right. 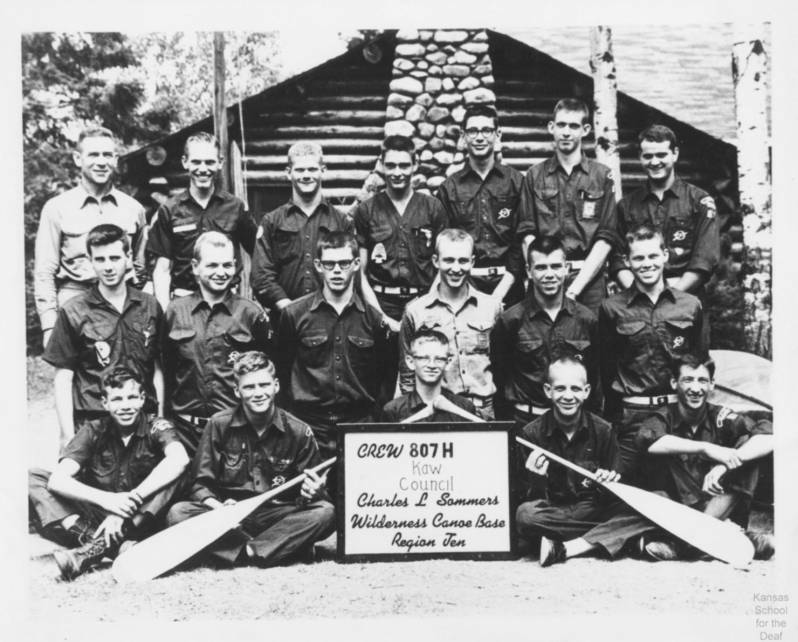 On another note, if you have any information about this 1965 Deaf Camporee patch, please contact me. 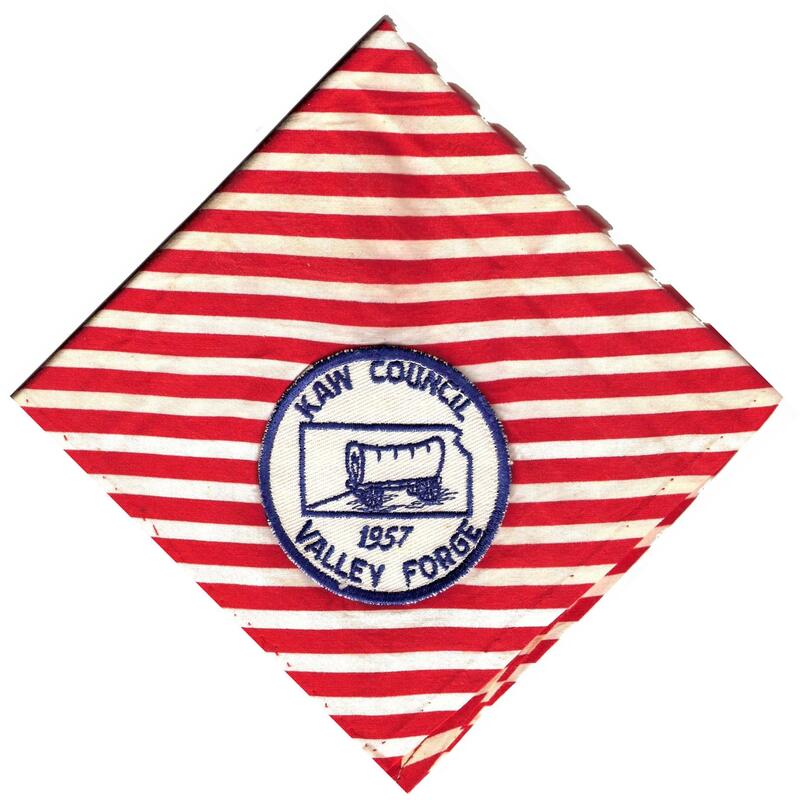 Don’t forget to “Like” Broad Kaw Valley on facebook by clicking the link to the right. Big thanks to Mike B. for sharing! Please contact me at broadkawvalley at gmail dot com if you have something to send along. I’ve added a new option for following Broad Kaw Valley – you can “Like” the facebook page. Just click on the “Like” button over on the right hand column and posts should start showing up in your news feed. For those non-facebook users, you can also click on the email subscription button at right. It is easy: click to like. 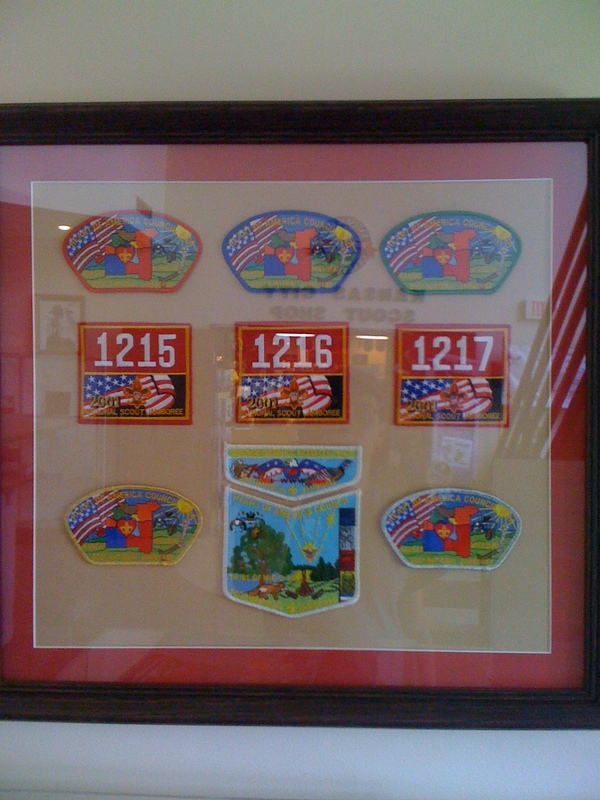 I’ll leave you with this picture I took at the Heart of America Council office the other day – a frame with all of the council’s 2001 National Jamboree patches (including troop numerals). 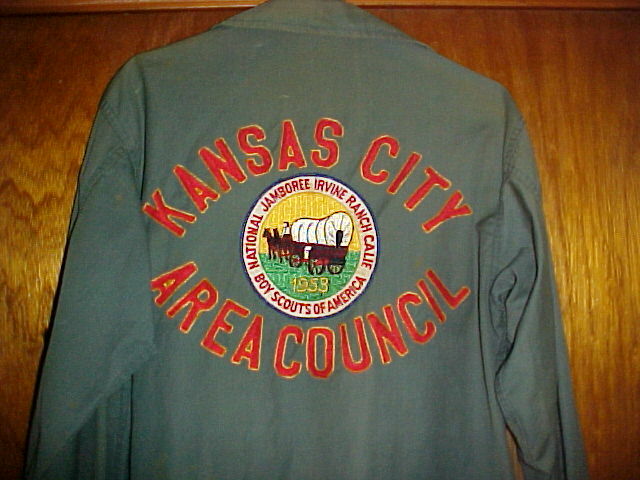 I’m working to expand the image galleries on this site and I’ve selected my next area of focus: Kansas City area Jamboree items. 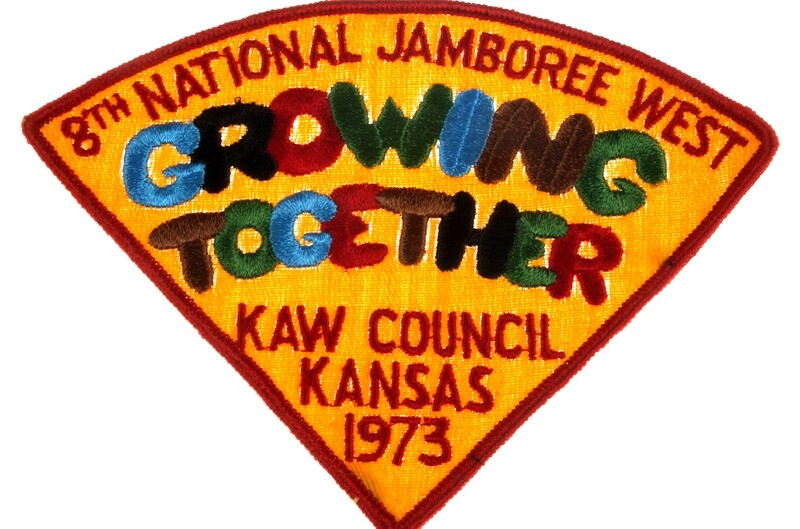 If you have any National (or World) Jamboree items from Kansas City Area Council, Kaw Council or Heart of America Council, please comment below or contact me: broadkawvalley at gmail dot com. 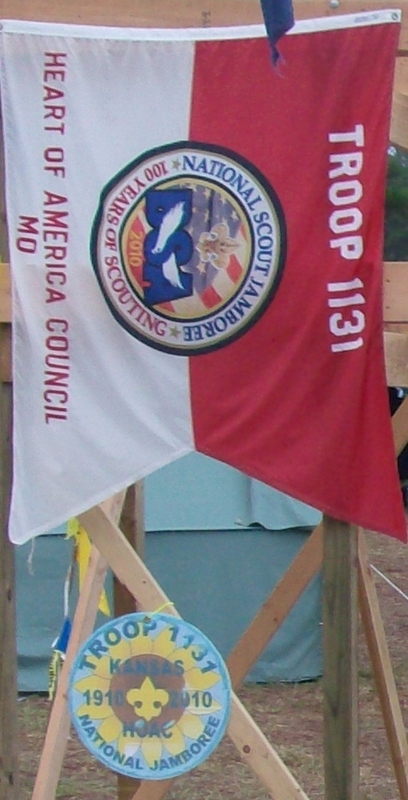 Examples include: troop pictures, troop numbers, neckerchiefs, hats, hat pins, t-shirts, jackets, handbooks, travel plans, flags, newspaper articles, non-JSP patches, signs, etc. I picked these two pictures up in a trade a while back. 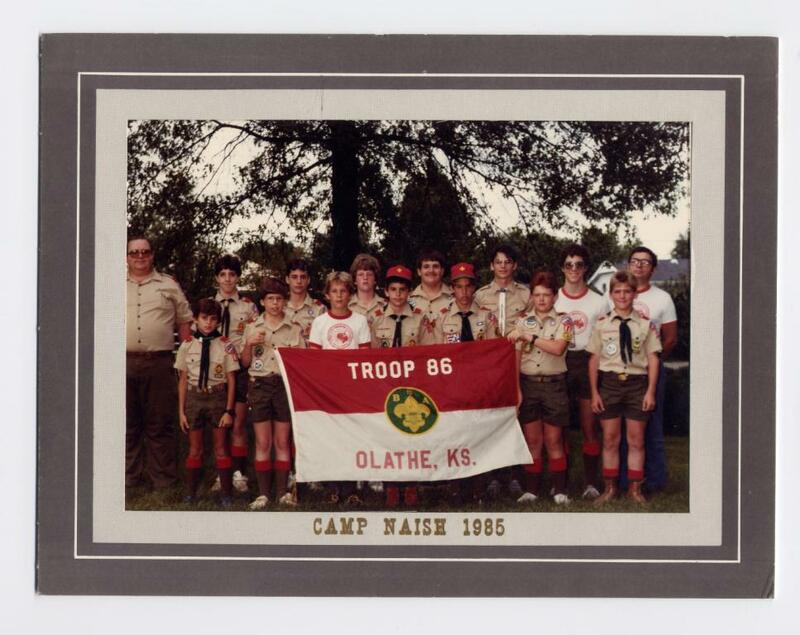 They are 1984 and 1985 troop photos from Troop 86 of Olathe, Kansas – a few years before I joined in 1989. 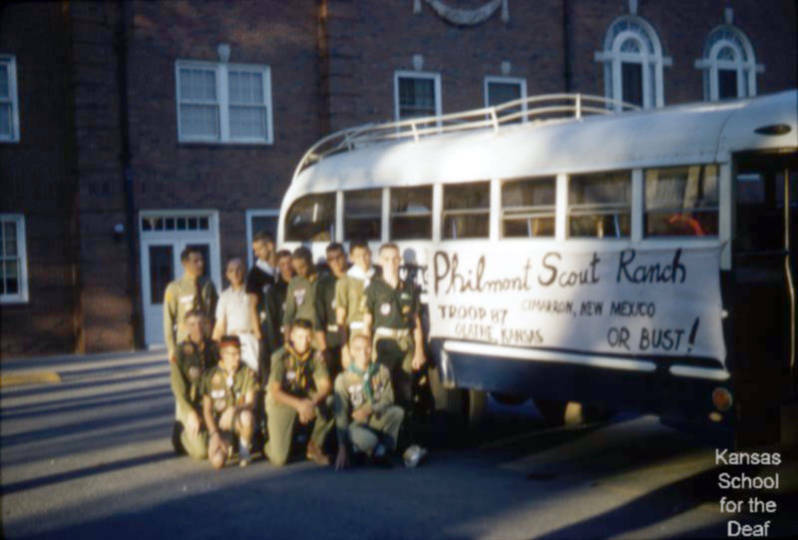 I recognize a few of the faces that were still around when I started with the troop. 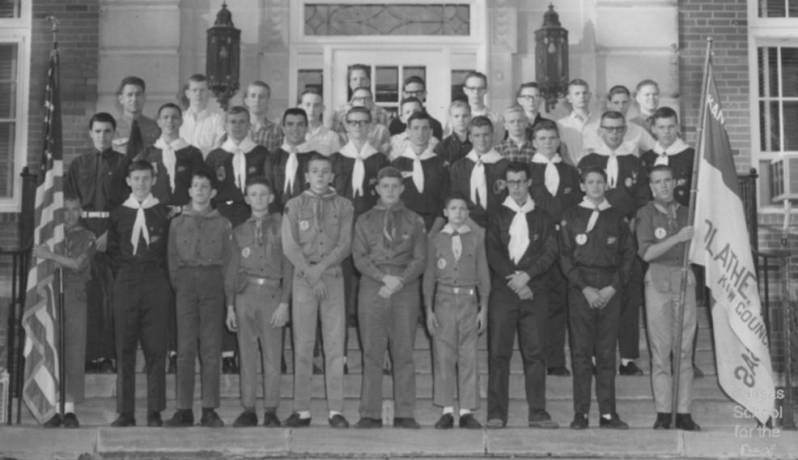 When I was a camper, instead of individual troop photos, we took one photo for all troops at the session while seated in the council ring. I’ll try to dig some of those up. Now if I could only find one of those white shirts with red ringers!